The Little House of Concrete Bookshelves: Donna Leon "Death and Judgment"
Donna Leon "Death and Judgment"
Having resolved the circumstances surrounding two obvious murders and an apparent suicide in the early hours of the morning Brunetti, dog tired, retreats home for a few hours’ sleep before he tidies up the formal side of things. He’s got a culprit, and a confession, the suspect’s safely locked up so everything ought to be cut and dried. Six hours later he’s back at the Questura, only to find there had been a phone call from the Ministry of Justice in the meantime and some men from Special Branch showed up with some papers three hours earlier with orders to transfer the prisoner to Padua. And earlier, when the evidence at autopsy reveals a level of barbiturates in the apparent suicide’s bloodstream inconsistent with the perceived circumstances the official report on the procedure sees the quantity halved with the coroner’s notes and the relevant samples having gone missing. Death and Judgment starts with one of those incidents that don’t appear to be tied in with the solution to the case by providing the motive for the murder. In this case the incident involves a crash where a truck carrying a load of timber crashes off a snow covered road in the in the Dolomite mountains of northern Italy, spilling its load, which includes eight unidentified women across the mountain side. The murder, or at least the first of three murders, has a prominent lawyer shot on an express train from Torino, with the body being found as the train crosses the lagoon heading in to Venice. Carlo Trevisan was an expert on international law, is apparently a clean, family man and there’s no obvious reason why anyone would want him dead. Since the corpse still has his wallet, you can rule out robbery as a motive. He’s also a friend of the mayor and his wife is the secretary of the Lions Club, so when Patta assigns him the case Brunetti is instructed to use the utmost discretion. Two days later his accountant, who also happens to be his brother-in-law is found dead in his car, shot three times, at close range, apparently by someone who was sitting beside him in the front seat. In between those two there’s the apparent suicide and about the only thing Brunetti and his colleagues have to go on are a list of phone numbers in his address book that don’t have names beside them. One is Trevisan’s and another is a seedy bar that links both to a network of slave traders and pornographers that reaches beyond the Venetian laguna through Eastern Europe and as far afield as Ecuador and Thailand. That provides the link to the truck crash, but it’s still a matter of finding the murderer, which is going to be a little tricky since the top level of the network are eminent Italians virtually untouchable by the police. Brunetti, on the other hand, with Signorina Elettra on his side, can call in a favour from a judge, and has a teenage daughter who went to the same school as Trevisan’s daughter. 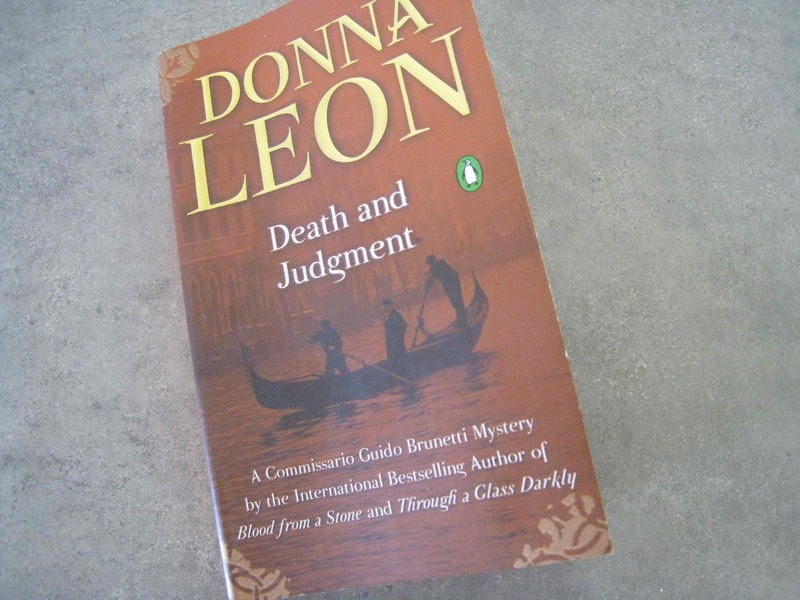 All of them add something to the investigation, though when Chiara provides one of the key links towards the end, Brunetti ends up wishing she hadn’t. This fourth title in the Commissario Brunetti series has its origins in a newspaper article Leon read during the Bosnian war and as the plot line unfolds Brunetti’s struggle against a corrupt system provides a fascinating read, particularly when you look at it in the light of the anti-austerity protests currently taking place across Europe. 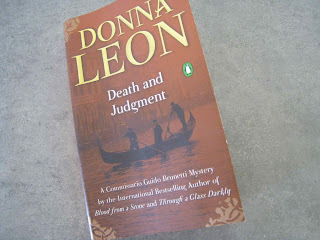 Donna Leon "Death in a Strange Country"